Summer Magic Dress https://www.review-australia.com/au/summer-magic-dress-blue/RE19DR233.REBLU059.html Exuding charm, this Summer Magic Dress is ideal for that upcoming garden party. 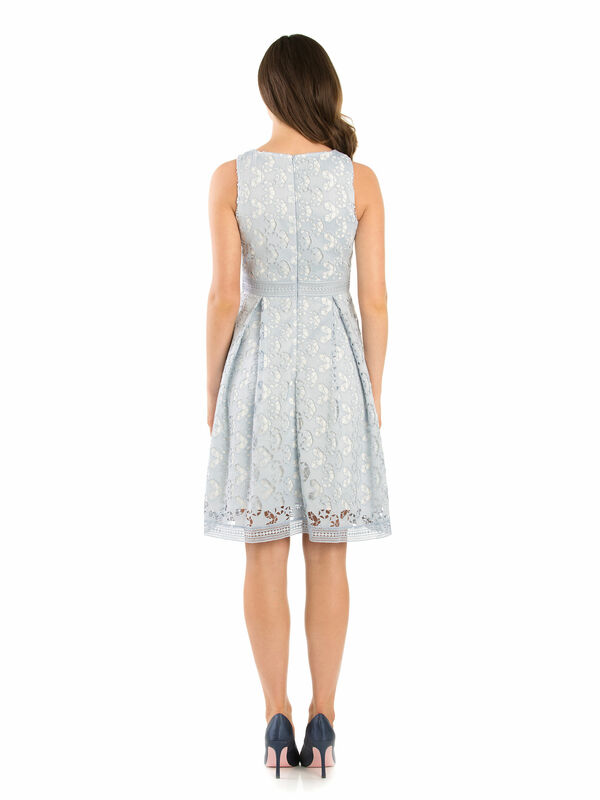 The intricate star-shaped lace adds an enchanting finish to this charming dress. The fit and flare shape creates a silhouette that will make you stand out, even under the glow of moonlight. Fitted with a hidden zip to the reverse and a layered, lined skirt. Exuding charm, this Summer Magic Dress is ideal for that upcoming garden party. 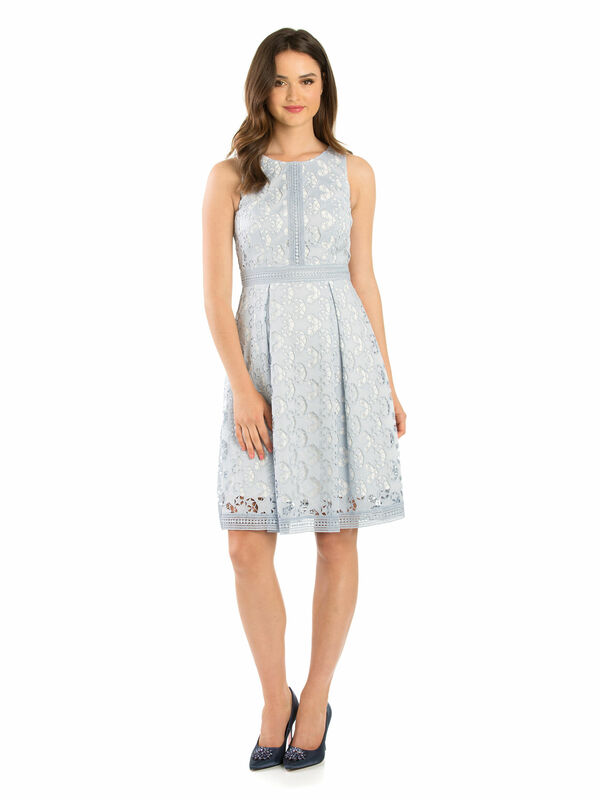 The intricate star-shaped lace adds an enchanting finish to this charming dress. The fit and flare shape creates a silhouette that will make you stand out, even under the glow of moonlight. Fitted with a hidden zip to the reverse and a layered, lined skirt. Summer Magic Dress is rated 4.8 out of 5 by 10. Rated 5 out of 5 by Jenmneil from Beautiful, elegant, sophisticated I bought this online without trying it on and when I saw it in real life I couldn’t believe how gorgeous it was. It fit perfectly. I wore it out to Valentine’s Day for dinner and can’t wait to wear it again soon. Rated 5 out of 5 by Sharkolenda from So pretty, got lots of compliments! I purchased this outfit specifically for a race meet - and it was perfect! All my friends loved it - I got heaps of lovely comments. So comfy to wear and made me feel confident on the day. Rated 5 out of 5 by Mahal from Beautiful Dress. My husband choose this dress for me and I love it very much. I love the colour, it suits my skin. I love the style. Thank you very much. Rated 4 out of 5 by Kasa from Beautiful Dress I bought this dress online to wear to a wedding. I was very pleased with the fit and quality food the dress. Rated 5 out of 5 by reviewaddict10 from Delighted Review Addict I am addicted to Review! Another absolutely gorgeous dress to add to my collection! Love it! Rated 5 out of 5 by HeidiH from High quality & eye catching Lovely design, really great quality. I have had a lot of positive comments on this dress. Rated 4 out of 5 by crystal1111 from Nice color This dress with nice color and comfortable touch. It's good for summer.